Can you imagine life without safe water to drink? At Reachout Village Ministries, this is a daily reality. The Director & Administrator of the Uganda Mission Project , a ministry under the Canaan Family Life Center located in Philadelphia, met the Nkatas in while working together on a medical mission in their area in 2014. We were impressed with their ministry then and we want to help them now. Rev. Dr. Daniel & Margaret Nkata have operated a school, orphanage, and Church in the Munyonyo District of Kampala for over 30 years. Their well has been the sole water supply – which now includes 300 children- in this community since the beginning of their ministry. Everyone needs a safe and sustainable supply of water for drinking, cooking, washing, cleaning, and growing food. It’s a basic Human Right. 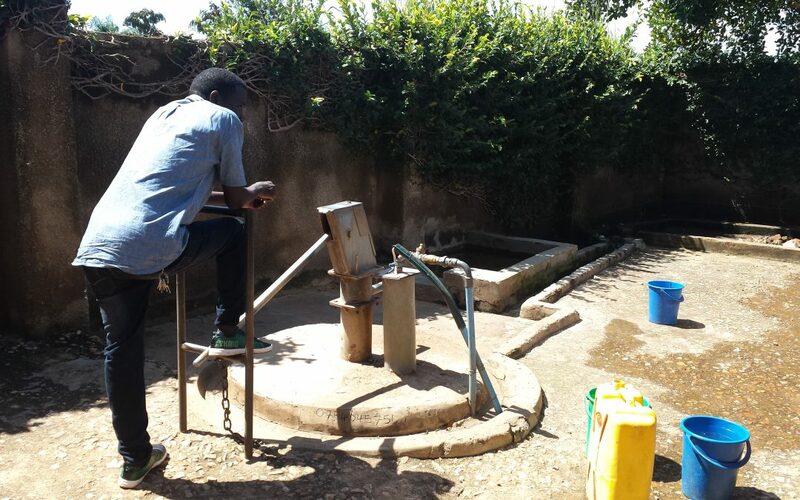 Please join us to raise $2000 to repair this well by making your tax deductible donation to Uganda Water Project.